When the USPTO rejects patent claims to an invention as being obvious, it often combines two or more prior art references to make the rejection. The rejection may be improper if the combination proposed by the USPTO renders the prior art reference being modified inoperable for its intended purpose. The case of Plas-Pak Indus. v. Sulzer Mixpac AG, 600 Fed. Appx. 755 (Fed. Cir 2015) provides an example of this principle (it also discloses another basis to challenge an obviousness rejection). 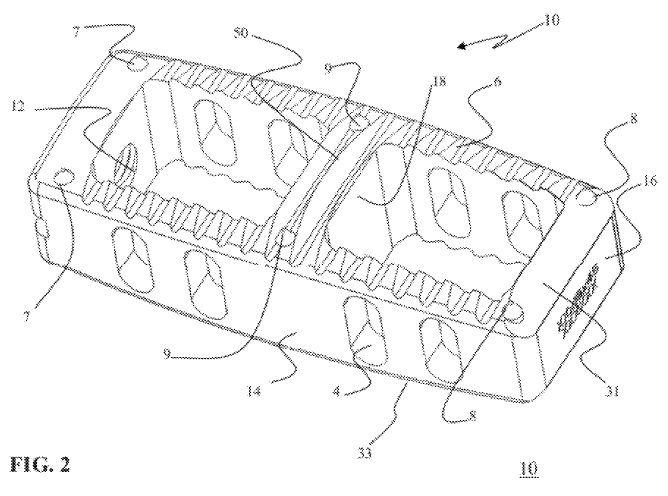 Sulzer asserted that claims of Plas-Pak’s US Patent 7,815,384 (“Plas-Pak’s Patent”) were obvious in view of a combination of two references, U.S. Patent 6,241,125 (“Jacobsen”) and U.S. Patent Publication 2002/0170982 (“Hunter”). Plas-Pak’s Patent was directed to a device and method for mixing and dispensing multi-component paints. Jacobsen discloses a device that dispenses fluid materials into a surface crack so as to minimize leakage. Sulzer proposed to modify the device of Jacobsen to include the spray nozzle from Hunter. But the court found that the spray nozzle of Hunter would not obtain the objective of dispensing fluid materials into a surface crack so as to minimize leakage. Therefore the court concluded that modifying Jacobsen to accommodate the spray nozzle of Hunter would render Jacobsen “inoperable for its intended purpose,” and a person of ordinary skill would thus not have been motivated to pursue the combination. As a result, the court concluded that the challenged claims of Plas-Pak’s patent were not obvious. When an obviousness rejection is received, you must closely study the modified reference to determine whether the proposed modification would render it inoperable for its intended purpose. If it would, then the rejection may be improper and can be overcome on that basis. “After experiencing a desire to invent a particular thing, I may go on for months or years with the idea in the back of my head,” said Nikola Tesla. Tesla calls this the incubation period, which precedes direct effort on the invention. Science writer, Steve Johnson, called this a slow hunch. 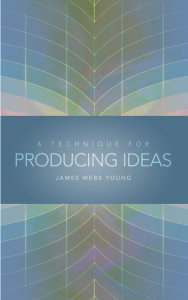 And, in his 1940 publication, A Technique for Producing Ideas, James Young also calls it incubation as a part of the metal digestive process. The first step is to gather raw material. Young says that we constantly try to dodge the work of gathering raw material because its “a terrible chore.” You should gather both material specific to the problem at hand and general material. The material gathering is a life long job. In the second step, you actively work the information over in your mind. “What you do is to take the different bits of material which you have gathered and feel them all over…with the tentacles of the mind.” He says after a while you will reach a hopeless stage where “Everything is a jumble in your mind, with no clear insight anywhere.” This is where you move to the third step. Young says that if you really did steps 1-3 properly, in the fourth step, the idea will seem to appear out of nowhere. It will come to you when you are least expecting it. In the last step you refine the idea to work in the real world conditions and constrains at issue. While Young’s field is advertising, the process appears applicable to idea generation generally. Read Young’s full work for more details on the process and stories that accompany it. When the USPTO rejects patent claims to an invention as being obvious, it often combines two or more prior art references to make the rejection. The rejection may be improper if the combination proposed by the USPTO changes the principle operation of the prior art reference being modified. The case of Plas-Pak Indus. v. Sulzer Mixpac AG, 600 Fed. Appx. 755 (Fed. Cir 2015) provides an example of this principle. 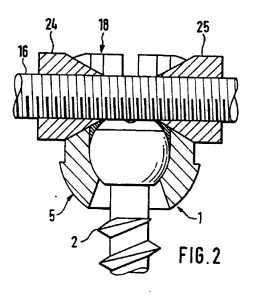 Sulzer asserted that the claims of Plas-Pak’s US Patent 7,815,384 (“Plas-Pak’s Patent”) were obvious in view of a combination of two references, U.S. Patent 4,745,011 (“Fukuta”) and U.S. Patent 3,989,228 (“Morris”). The Plas-Pak’s Patent was directed to a device and method for mixing and dispensing multi-component paints. Fukuta disclosed a device for mixing two-component coatings but did not disclose two cylindrical cartridges and a mixing gun that were claimed in Plas-Pak’s patent. 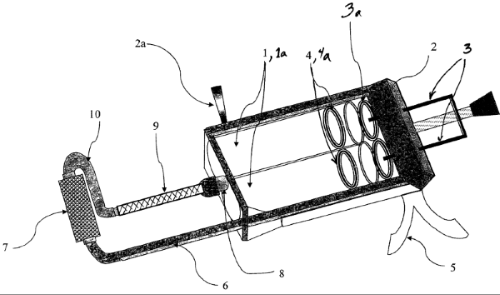 Morris disclosed two cylindrical cartridges and a mixing gun. Sulzer proposed to replace Fukuta’s pumps, check valves, stop vales, and escape valves with the two cylindrical cartridges and a mixing gun of Morris. But, the court found that removing those pumps and valves would alter the principle operation of Fukuta. The pumps and valves where essential to the principle operation of Fukuta, which was to prevent back-flow even when the propensity for backflow occurs repeatedly and at high velocity. 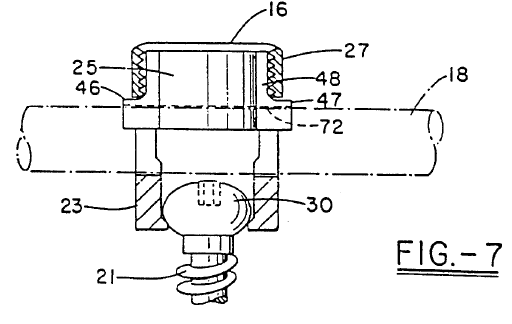 Fukuta was rife with statement defining the invention as adding stop valves to prevent backflow. Therefore, when an obviousness rejection is received, you must closely study the modified reference to determine whether the proposed modification would change its principle operation. If it would, then the rejection may be improper and can be overcome on that basis. When the USPTO rejects patent claims based on alleged obviousness, it often combines two or more prior art references to make the rejection. This combination may be challenged if one of the prior art references teaches away from the proposed combination. For an example of this principle, consider the case of Depuy Spine, Inc. v. Medtronic Sofamor Danek, Inc., 567 F.3d 1314, 1328 (Fed. Cir. 2009). There, Depuy Spine sued Medtronic Sofamor Danek for infringement of U.S. Patent No. 5,207,678 (“the ‘678 patent”). 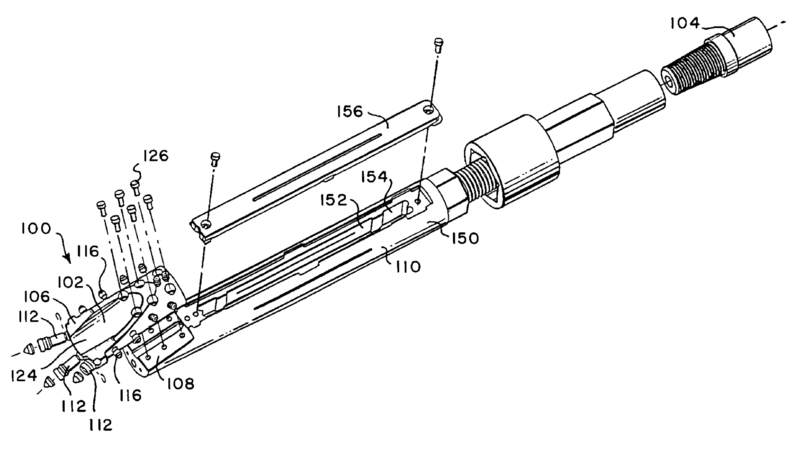 The ‘678 patent is directed to a pedicle screw used in spinal surgeries. A jury determined that Medtronic infringed the patent and awarded $149.1 million in lost profits damages for the sale of pedicle screws. As a defense, Medtronic argued that the asserted claims of the ‘678 patent were invalid as obvious over the combination of two references U.S. Patent No. 5,474,555 (“Puno”) and U.S. Patent No. 2,346,346 (“Anderson”). But, the court found that Puno taught away from the proposed combination and therefore the challenged claim was not obvious over the combination of references. Therefore, Puno taught away from the use of a compression member, which would have increased rigidity, decreased the shock absorber effect, and possibly increased the chance of failure of the screw or the bone-screw interface according to Puno. The court concluded, due to the teaching away, a person of ordinary skill would have been deterred from combining Puno and Anderson in the manner that Medtronic proposed. As a result, the challenged claim of the ‘678 patent was not invalid as obvious and the infringement judgement was upheld. When receiving an obviousness rejection, the cited references relied on in the rejection should be studied to determine whether they teach away from the combination. If there is such as teaching away, then a response may be filed with the USPTO arguing against the obviousness rejection on that basis. Obviousness determinations require a multifaceted consideration of the invention and the prior art. The framework for obviousness determinations is provided by the Supreme Court in Graham v. John Deere Co., 383 U.S. 1 (1966). When considering obviousness one must (1) determine the scope and content of the prior art, (2) ascertain differences between the prior art and the claims at issue (the claimed invention), and (3) resolved the level of ordinary skill in the pertinent art. Obviousness or nonobviousness of the invention is determined against this framework. Further, the USPTO fact finder must provide a rationale of why the invention is obvious. The Supreme Court in KSR Int’l Co. v. Teleflex Inc., 550 U.S. 398, 415-421 (2007) made it easier for the USPTO to reject inventions as obvious. Prior to KSR, one could argue that an obviousness rejection was inproper if there was not teaching, suggestion, or motiviation to combine the prior art references. But, the court said “The obviousness analysis cannot be confined by a formalistic conception of the words teaching, suggestion, and motivation, or by overemphasis on the importance of published articles and the explicit content of issued patents.” This opened the door to the use of additional rationales and evidence to support an obviousness rejection. And, this made life harder for some patent applicants. These rationales all rely on the predictability of the results of combining references. If the proposed combination would not have been recognized by one skilled in the art to produce predictable results, then these rationales should not apply. Further, if one takes the example rationales of MPEP 2143 and considers them broadly it is possible that one could conclude that many patentable inventions are actually unpatentably obvious. However, you can’t take the rationales at face value because there are a host of rebuttal circumstances or circumstances where some of rationales don’t apply or would be applied only narrowly. In other words, don’t over generalize the MPEP 2143 rationales and conclude your invention is obvious. the invention proceeds contrary to accepted wisdom in the art. Further, the USPTO’s rationale for combining prior art references in an obviousness rejection must have an adequate evidentiary basis and there must be a connection between the rationale and the motivation to combine references in the obviousness rejection. In re NuVasive, Inc., 842 F.3d 1376, 1382 (Fed. Cir. 2016); MPEP 2143. If the USPTO fails to meet these requirements the obviousness rejection can be improper. In addition, so-called “secondary considerations” can be important to show nonobviousness. Secondary considerations may include: (1) commercial success of the claimed invention, (2) a long felt but unsolved need, or (3) failure of others. As you can see there are several factors and elements to consider when attempting to establish obviousness or rebut it. And, the USPTO, district courts, and appeal courts, often disagree about whether a particular invention is obvious. For example, in Novartis AG v. Noven Pharmaceuticals Inc., 853 F. 3d 1289 (Fed. Cir. 2017), the PTAB of the USPTO found the challenged claims of U.S. Patent Nos. 6,316,023 and 6,335,031 were invalid as obvious. But, based on the same evidence, a prior District court found the claims of same patents were not obvious. The different results for the same patents on the same evidence were due in part to the different standards used by the PTAB and the district court. However, these varying results say something about the difficulty in applying and predicting whether an invention is obvious. Nevertheless, obviousness of an invention can be assessed before a patent application is filed, usually after a patent novelty search is performed. And there are several possible angles for overcoming obviousness rejections at the USPTO. The patent rules provide that black and white line drawings are normally required for patent drawings. 37 CFR 1.84(a)(1). There is a rule for filing drawings in color, but it requires filing a petition to allow color drawings and paying a fee (for a utility patent application). MPEP 608.02(VIII). Instead of going that route, you can use certain back and white lining patterns to show color according a USPTO key, which is shown below. The lining key is useful for showing color. But if it is important to show a particular shade of a color, then the linking key will probably not work. In that case, you will likely need to follow the rules for filing actual color drawings, petitioning, and paying the fee (for a utility patent application). Lost profits and royalties are not the only way to measure patent damages. In Minco Inc. v. Combustion Eng’g, Inc., 95 F.3d 1109, 1120 (Fed. Cir. 1996), the Federal Circuit recognized that a patent owner might have been entitled to damages resulting from a third parties’ purchase of the infringer’s business, if it had proven that the infringing products were an important factor in the sale. Patent owner Minco sought damages arising from defendant infringer CE’s sale of its fused silica business to a third party. Minco sought as damages the difference between the sale price of CE’s Business and an expert valuation of CE’s business without the infringing kilns. Minco argued that if CE had not infringed, the third party would have purchased Minco’s business instead of CE’s. The court recognized that in theory Minco might have been entitled to some recovery from CE’s sale of its business because it included infringing kilns. But, the court determined that Minco did not show that infringing kilns were an important factor in the sale. After the third party acquired CE’s business, the third party switched to its own patented furnace, which undermined Minco’s claim that kilns drove the sale. A reasonable royalty for the infringer’s use of the invention is one way to measure damages for patent infringement (others include lost profits and established royalties). A reasonable royalty is a amount determined by a court to result from a hypothetical negotiation between the patent owner and the infringer. The hypothetical negotiation attempts to determine the royalty that the reasonable parties would have agreed to had they successfully negotiated an agreement just before infringement began. Wordtech Sys. v. Integrated Networks Sols., Inc., 609 F.3d 1308, 1319 (Fed. Cir. 2010). This necessarily involves a degree of approximation and uncertainty. 5. The commercial relationship between the licensor and licensee, such as, whether they are competitors in the same territory in the same line of business; or whether they are inventor and promotor. 15. The amount that a licensor (such as the patentee) and a licensee (such as the infringer) would have agreed upon (at the time the infringement began) if both had been reasonably and voluntarily trying to reach an agreement; that is, the amount which a prudent licensee — who desired, as a business proposition, to obtain a license to manufacture and sell a particular article embodying the patented invention — would have been willing to pay as a royalty and yet be able to make a reasonable profit and which amount would have been acceptable by a prudent patentee who was willing to grant a license. [Ga.-Pacific Corp. v. United States Plywood Corp., 318 F. Supp. 1116, 1120 (S.D.N.Y. 1970)]. While the Federal Circuit has approved use of the Georgia-Pacific factors, it has also said that they are a comprehensive list but unprioritized and often overlapping. ResQNet.com, Inc. v. Lansa, Inc, 594 F.3d 860, 869 (Fed. Cir. 2010). The factors are also not exclusive in that other factors could be considered. An established royalty is one way to measure damages for patent infringement (others include lost profits and reasonable royalties). When the patent owner has licensed its patent for comparable acts to those engaged in by the infringer, those prior licenses may define an established royalty rate. The federal circuit has said “When the patentee has consistently licensed others to engage in conduct comparable to the defendant’s at a uniform royalty, that royalty is taken as established and indicates the terms upon which the patentee would have licensed the defendant’s use of the invention.” Monsanto Co. v. McFarling, 488 F.3d 973, 979 (Fed. Cir. 2007). For prior negotiated royalties to provide an established royalties they need to be: (1) paid or secured before the present infringement, (2) paid by a sufficient number of persons/entities as to indicate a general acquiescence in the reasonableness of the royalty, (3) uniform at the places where the licenses where issued, (4) not paid under threat of suit, and (5) for similar rights or activities as those at issue in the present infringement. Rude v. Westcott, 130 U.S. 152 (1889). Therefore, in many cases it will be hard to show there is an established royalty unless the patent owner is engaged in a campaign of licensing outside of litigation. Established royalties are different from reasonable royalties, which I will discuss in a later post.